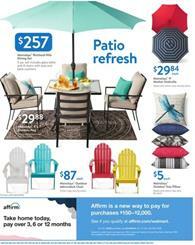 Only 2 days left for these deals but whenever an ad expires a new Walmart Ad is published. You can find Easter buckets and stuffers in the latest Walmart Ad. 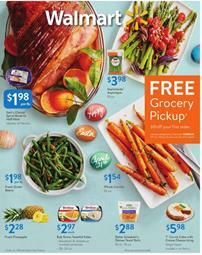 See Easter plush animals, décor items, basket stuffers, Easter eggs, candies, and more offers on pg 23-24. Seek for good Easter deals in a wider range of sources. Look for the online sale of Walmart. Party decor, tableware, and Free Easter audiobook must be in your email if you are a subscriber to the mails. 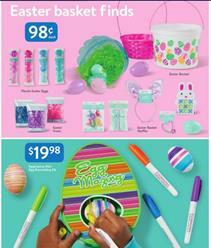 Walmart offers fashion products with special Easter prices as well. Clearance sale of Walmart is taking place in April. 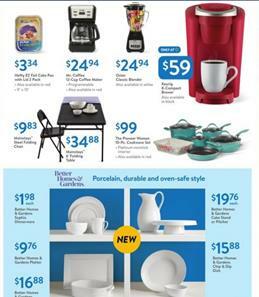 Categories like electronics, home improvement, automotive, and more have products in the clearance sale. Ellen has a list for April. 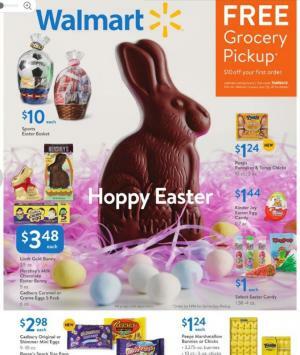 Check out Easter baskets on the online shop of Walmart. Gardening is an important task of daily life in Spring. Do your gardening works with a selection of tools by Martha Stewart.